Here are some of the Diablo III screenshots that came out of the GamesCom 2011 press event in case you haven’t checked them out yet. GamesCom 2011 Cosplay is among the best in the world of conventions, and BlizzCon is a big contender, but holy cow level! Kotaku captured a photo of a woman disguised as a female Barbarian. Just how awesome is that, folks? Thanks, CherubDown. Check out other cosplay at Kotaku. Here is a gathering of videos and interviews from GamesCom 2011 (Saturday). You can browse through our GamesCom 2011 News section and the GamesCom 2011 Round Up page for more. 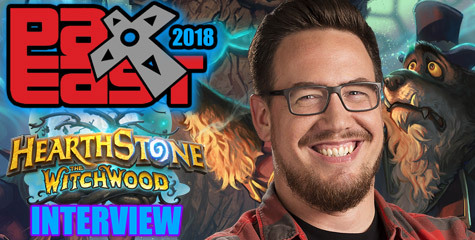 The first interview can be found at PCGames.de. Blizzard Entertainment unveiled the timelapse video of The Making of the Diablo Mural shown at Hahnentorburg Rudolfplatz. It is important to all GamesCom 2011 attendees to attend Hahnentorburg for a chance at a Diablo III beta key. Contest details at the bottom. Additionally, IGN UK nominated Diablo III for the IGN People’s Choice Award. You can vote for Diablo III here. As part of Blizzard Entertainment’s presence at gamescom 2011, artist Manfred Stader has created a bespoke piece of Diablo III street art. The image depicts Diablo accompanied by demons bursting forth from the very streets of Cologne. What’s unique about the image, aside from the content, is that it has been designed to be viewed in full 3D perspective. As a result, it produces an unnerving glimpse into The Burning Hells themselves. The artist began production of this very special piece on Monday August 15, situated at Hahnentorburg Rudolfplatz in central Cologne. Don’t forget we have also organised a competition based on your photographs of this artwork — you can find details about that here. Attention gamescom goers: a portal to Diablo’s Burning Hells has been sighted at Rudolfplatz in Cologne! To celebrate this terrifying development, Blizzard is giving those witnessing the event a chance to win access to the beta phase for one of our upcoming games. Head over to Rudolfplatz, next to the Hahnentor. (map link). Gather up the courage to stand on the brink of the portal and have a friend take a picture of you. Make sure you put on your bravest face to confront Diablo! On Twitter, post a link to the image with the hashtag #D3GC11, and an “@reply” to our @Diablo account. Members of the Blizzard community team will look over the posted pictures during the weeks following gamescom and pick the best ones. Please consider following the @Diablo account so Blizzard can get in touch with you via direct message in case you’re one of the lucky winners. For all the details on the contest, please read the rules available here. 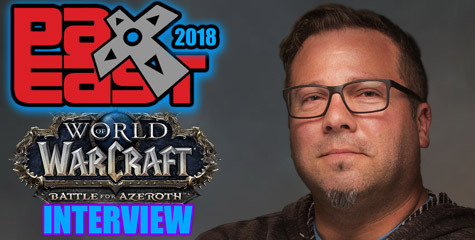 Diablo III Lead Designer Josh Mosqueira revealed at the press conference Blizzard Entertainment is actively searching for the best console developers in the industry. In short, that sounds like the studio is no longer researching if Diablo III console is viable. Now it’s serious business. 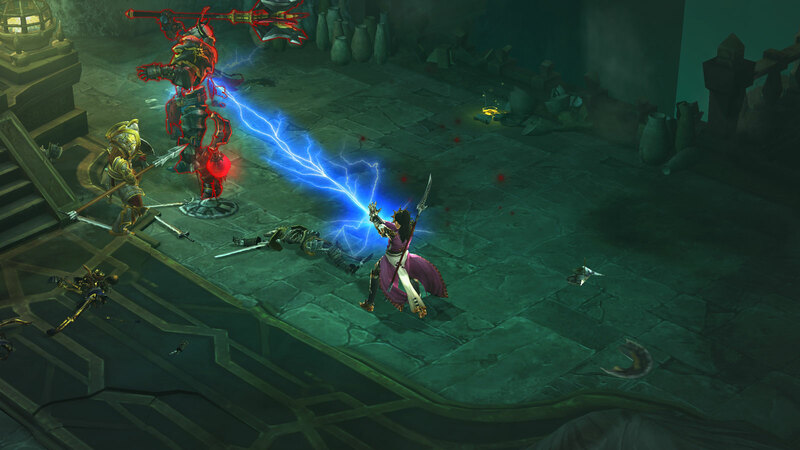 It’s still not an official announcement, and it won’t affect the shipment of Diablo III for PC and Mac apparently. Nevertheless, this is definitely an open house invitation to all programmers, designers, and artists to submit video reels and resumes to Blizzard’s Diablo III Console Team. Transcript coming soon. Check out the images and video in the meantime. Check us back through the GamesCom 2011 Round Up link later. 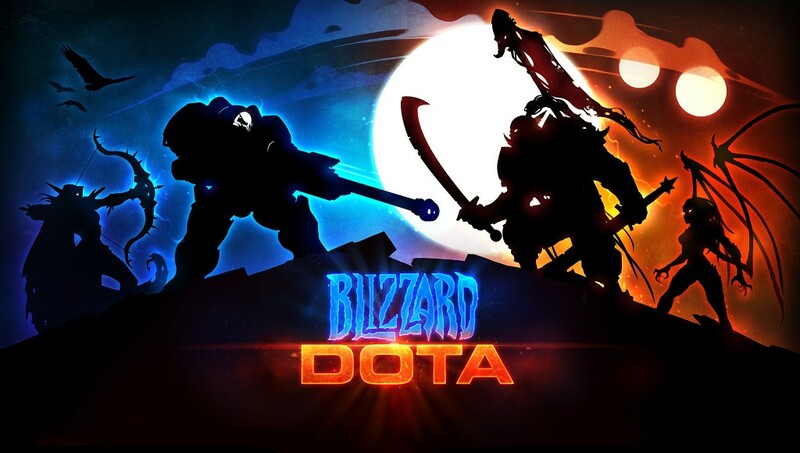 Blizzard Entertainment revealed several details about the upcoming patch 4.3 at GamesCom 2011. It will introduce three new five-player dungeons and finally the Deathwing raid dungeon. It seems players will be revisiting the War of the Ancients via the Caverns of Time in one of those five-player dungeons. Hopefully more info comes afloat in upcoming days at GamesCom. Patch 4.3 is slated to be the last major content patch of Cataclysm because a new expansion will be announced at BlizzCon 2011. This new expansion will also introduce the three Ethereal NPCs teased recently adding some interesting perks such as a separate bank for gear only. Players will be able to change their current gear’s appearance by merging it with a favorite previous gear. Let’s say you currently have a Tier 11 chest, but you liked the old Tier 3 design. Go to the Transmogrifier to place your Tier 11 chest, and select the Tier 3 chest. Voila. Your Tier 3 chest now has the same stats of your Tier 11. Very cool. What we currently have is a very incomplete and not operational Raid Finder tool. Blizzard will put an end to that with a bonafide Raid Dungeon finder which operates the same was as the Dungeon finder, searching for candidates to put together a full raid PUG team. The one thing that was not mentioned is whether this Raid Finder will be cross-server. Now that would be even better. Three five-player dungeons with new models (One in Caverns of Time), and a Deathwing raid dungeon. Ethereal NPCs in major cities. Tier 3 but keeping the Tier 11 stats intact. Transmogrified items must be same type (i.e. mail / mail, cloth / cloth) and stay within the class requirement. Void Storage: A pocket dimension which adds 100-150 item slots obtained with gold currency. Separate from the normal Bank. However, downside is the items lose the gems, enchantments and profession-crafted items lose the text of the player who created it. Raid Finder: Operates the same way as does the dungeon finder. Deathwing fight is the most epic encounter to date including a battle phase over Deathwing’s back while he flies. Patch 4.3 is the last content patch of Cataclysm. For quite some time now, players have been asking for a location in which to store important keepsakes including treasured armor sets, unique quest rewards, and gifts from friends, as well as other valuable items they’ve collected on their journeys throughout Azeroth. This is a feature we’ve wanted to add to the game for a while, so we’re excited to announce that, thanks to the ingenuity and entrepreneurship of the Ethereals, a new long-term storage option will soon be available to completionists and collectors alike. In patch 4.3, characters of all levels will be able to take advantage of a new technology known as “Void Storage,” which will open up 80 slots of long-term storage space. Void Storage vaults will be available in both Stormwind and Orgrimmar and can be accessed simply by speaking with your local Vaultkeeper. A variety of items can be placed into Void Storage — including soulbound items and Battle.net Account Bound items — making it the perfect location to store trophies from past conquests, as well as armor you may want to hold onto for Transmogrification. So, if you’ve been looking for a good home for those old tier sets or your vanity holiday items, Void Storage is it! And it’s as easy to use as dragging and dropping. In return for this unique service, the Ethereals will require a small fee for each item deposited into or withdrawn from their Void Storage apparatus. Multiple items can be added and removed at once, and the cost of each transaction will be display at the bottom of the screen, updating dynamically as you select additional items to deposit or withdraw. Once an item is placed into Void Storage, it can remain there indefinitely for no additional cost. It’s important to note that the goal of Void Storage isn’t to be a second bank, but rather a place where players can safely store items they wish to keep for the life of the game, either for sentimental or aesthetic reasons. Since this particular storage option isn’t really intended for belongings that you’d use on a regular basis (like your current set of raiding gear, for example), any item placed in Void Storage will be stripped of all its enhancements, including enchants, gems, sockets, and reforged stats, and some items will simply not be eligible for Void Storage at all. This will help us reduce the impact such storage can have on the game servers, and ultimately allows us to provide a lot of long-term storage space with minimal impact on everyone’s play experience. Never fear, fellow tiny-limbed-corpulent-dinosaur enthusiast! We’ve got you covered. In addition to Void Storage, we’re also adding a bag search feature in 4.3 that will allow players to search for items within their bags and bank space, all with just a few keystrokes. Integrated directly into the bag and bank UI, this new search feature will be incredibly quick and easy to use. To find an item in one of your bags, in your character’s personal bank, guild bank, or Void Storage vault, you’ll simply type the name of the item — or a word in the item’s name — into a small search box located near the top of your main backpack, and your open inventory will be filtered accordingly. Only the items that match the word or name you’ve entered will display, making it easier than ever to find exactly what you need, exactly when you need it. You’ve been asking for it, and we were listening. In patch 4.3 you’ll be able to customize the appearance of your weapons and armor like never before. The Ethereals, emerging from the nether, will bring with them a new technology they call Transmogrification. They’re heading to the capital cities of Azeroth to set up shop and to offer adventurers a unique service — copying the appearance of one magical item onto another. They only ask for a modest gold donation to recoup their costs. Visiting a Transmogrifier will present players with a new interface that will allow them to change the appearance of an item while retaining its original stats. This means that you can raid in your paladin tier 12 Immolation set, but look like you’re wearing Lightbringer, while priests can bring Benediction back — at least in spirit. Hunters can once again roam the jungles of Stranglethorn Vale in their tier 2 Dragonstalker set. You could even slip into the saucy tailored Black Mageweave set for that matter. You know, with the thigh highs, and the little gloves, and the cute little… ahem. Placing an item into the Transmogrifier interface will offer a preview of how the item will appear once the change is applied. However, not all item pairings are compatible with Transmogrification. In general, only items that have stats can be used in the transmogrification process. You must also be able to wear both items when using this service. Ethereals don’t have much in the way of ethics, but allowing someone to appear as if they’re equipping unusable items crosses the line. Similarly, they won’t allow you to change weapon or armor types. Sneaky death knights can’t make that breastplate look like a cloth robe, and you can’t make a one-handed axe look like a two-handed axe, or transform a sword’s appearance into that of a mace. Guns, bows, and crossbows will be the exception to this rule. You will finally be able to retain your dwarf’s racial gun bonus while appearing with all the splendor and elegance of a bow wielder (or at least the relative silence of one). Placing items into the Transmogrify interface will increase the gold cost of the process, and clicking the Transmogrify button (assuming you have the necessary funds) will put the appearance change into effect. The process can be reversed by clicking the undo icon on each item, and then hitting the Transmogrify button once more to save the changes. Any item that’s transmogrified will have text indicating it’s been altered by the process for all to see, similar to the item tooltip callout for reforged items. Transmogrification encourages players to hold onto items with sentimental or aesthetic value, and the Ethereals anticipate that personal bag and bank space will be at a premium now that everyone will be hoarding their frilly pantaloons and leather jerkins. In anticipation of this new demand for additional storage space, they’ll be introducing a unique Void Storage service. What’s Void Storage, you ask? We’ll provide more details soon. GamesCom 2011 will be held through August 17-21, and we will try to gather as much links and info as possible throughout the next few days. You can check out the whole Blizzard schedule at GamesCom here. The first addition to GamesCom 2011 round up comes from Diablo-3.net and it is gonna leave you jaw-dropped. Blizzard Entertainment unveiled a massive poster placed on the ground near the German City Gate of Hahnentor at Rudolfplatz. IT’S AMAZING! The kind of work to create this poster is staggering. It looks like Blizzard took a photo of the ground of Hahnentor some time ago, painted the photo in Photoshop then printed a real-life sized poster to place at the exact place they planned to put it at. However, it was all painted on the fly over cardboard by an artist. I mean — this thing looks beyond awesome. It is also an optical illusion. It really looks like Diablo and some demons are coming right out of the ground. The art was photographed every 30 minutes, so there might be used later on for a “The making of” or “Behind the Scenes” video later on. On a second note, rumors that Diablo and his brothers merged into one being seem to take strength. In this new view of the Diablo shown in the Cinematic Teaser Trailer (2008) you see Diablo with four hands. Those hands look like those of Mephisto. Only there doesn’t seem to be much of Baal’s features (tendrils and spider-like limbs). Check out more photos and two videos at Diablo-3.net. 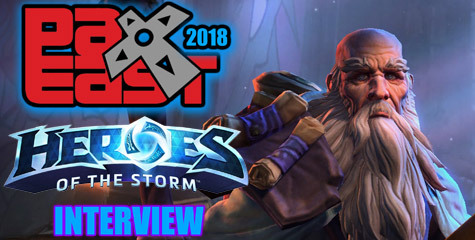 Check out the Blizzplanet: GamesCom 2011 News section for more.